Opinion: Digital Supply Networks – are you ready? Manufacturing is an industry that undeniably loves its acronyms – SCM, IoT, CRM, AI, PSAs. You could go on forever. However, over the coming months and years, you’re going to be hearing a lot more about a new acronym – DSN, or Digital Supply Networks. Nick McGrane managing director at K3 Syspro looks at what it means for manufacturers and what its impact could be. While there remains a certain degree of uncertainty around the impact that developments such as robotisation, automation, AI and cloud-based technologies will have on the UK’s manufacturing industry, there is no doubt that these digital technologies will transform the way our supply chains function. Third generation supply networks embedded in a fully digitised industrial new age are our future, so sitting back and waiting for these changes to take place simply isn’t an option. Instead, you should view these developments as an opportunity to review your business processes, to identify where your investment could deliver the most strategic benefits and to futureproof your business for the long term. Let’s start by taking a quick look at what defines a Digital Supply Network. 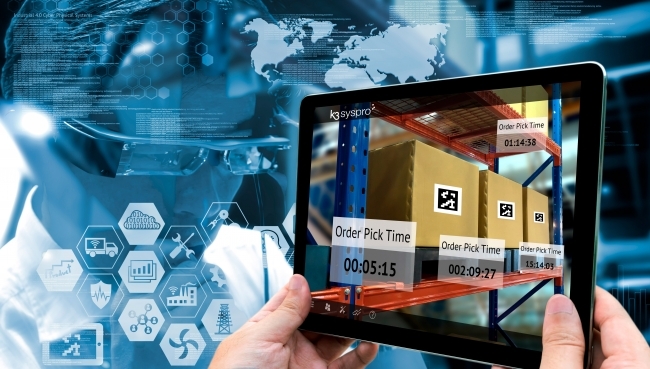 Supply chains are incredibly complex and, from our experience, no UK manufacturer yet operates a supply chain that is fully digitised, with end-to-end visibility and operating in a dynamic network. But the day is fast approaching when everything we do will be driven by technology and we, at K3 Syspro, have encountered manufacturers who are already successfully using digital technology at every stage in the supply chain. By engaging Enterprise Resource Planning (ERP) systems to process and harness their data, these companies have enhanced their operational performance and futureproofed their businesses. So, why is it so important for manufacturers to get the digital supply chain (soon to be network) right? Because when a strong supply chain model is supported by the best technology it renders companies resilient to change in the supply chain. This, in turn, contributes to overall organisational resilience, which is vital in uncertain economic conditions as we’re currently experiencing in the UK manufacturing industry. It also enables companies to be flexible and adaptable to respond to different market conditions, supporting future growth potential and opportunities for manufacturers and the wider supply chain. 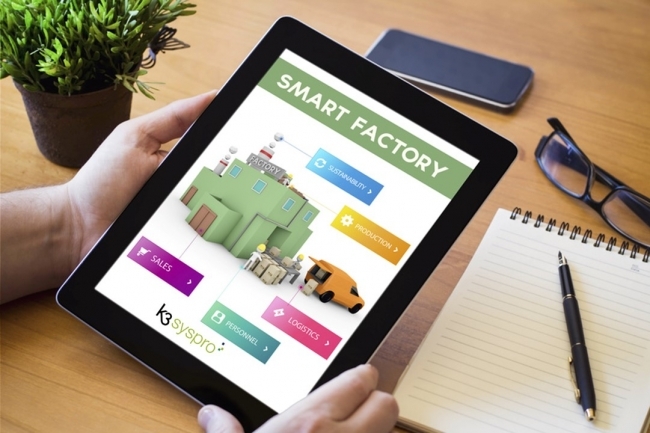 Working with UK manufacturing and distribution SMEs across a vast range of industries, our K3 Syspro experts get to see at first hand the role that our technology is playing in creating a foundation for smart and connected factories, forming the backbone of business management and security. ERP solutions such as SYSPRO ERP enable strong supply chain models to function, helping businesses integrate the value chain, better understand customers, enhance automation, become more responsive, and facilitate a transformation to factories of the future. You may already be quite far down the path towards a fully integrated digital supply network, or you may be among the many UK manufacturing businesses for whom the smart factory and digital supply chain of the future is still many years away. Either way, there’s no denying that there are some very real challenges ahead, particularly for smaller manufacturers, but doing nothing simply isn’t an option. If you’re uncertain about how to begin on this journey towards digital supply networks, then my first piece of advice would be to truly understand your business processes. My last blog (hyperlink) goes into this in more detail, but in short, an in-depth knowledge of your business processes is essential to an effective implementation of ERP and other digital technologies. Benchmarking is also absolutely key. You need to focus on your key business drivers – the processes that underpin the success of your company. Then you need to decide who to benchmark against. At K3 Syspro we would always recommend looking at businesses of a similar size and with similar objectives, but also looking at businesses if different sectors who excel in areas you want to excel in. Look at the strategic objectives of your benchmarking partners – what gives them the edge? It is also vital to look at the mechanics of your business and assess the efficiency of your processes. Reviewing your resource allocation will enable you to determine if you’re putting your resources into the same areas as your benchmarking partners. And, by comparing your costs against UK industry norms you will be able to highlight areas where your costs are higher than the average, potentially identifying ways to make savings. By calculating sales per employee you can measure productivity and efficiency, and, by working out your profit margins you will be able to understand how efficient your production processes are. Nowadays, with salary surveys and information on industry financial ratios widely available online, it’s possible to obtain benchmark information without having to approach an external benchmarking partner. Digital Supply Networks are, without doubt, the future of our industry, but by taking action now, developing a better understanding of their businesses and benchmarking against others, UK manufacturers will be much better prepared for whatever that future holds.